The following are the baseball events of the year 1913 throughout the world. April 9 - Ebbets Field opens. October 11 - The Philadelphia Athletics defeat the New York Giants, 3-1, in Game 5 of the World Series to win the World Championship, four games to one. 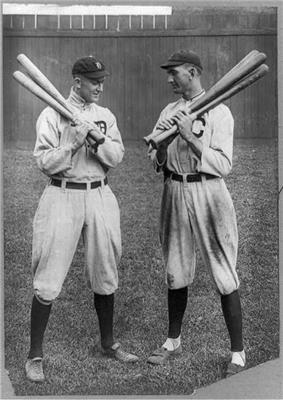 The Giants thus become the second club, following the Detroit Tigers of 1907-1909, to lose three consecutive World Series; and, to date, the last to do so. 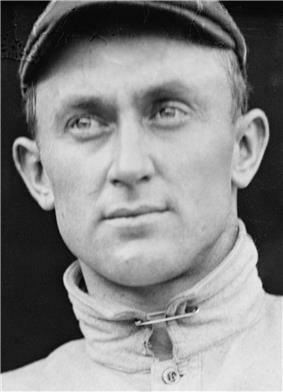 November 2 - St. Louis Browns player-manager, became the first Major Leaguer to jump to the outlaw Federal League after signing a contract to manage the Kansas City Packers. January 6 - Jack Boyle, 46, catcher/first baseman who hit .253 with 23 home runs and 570 RBI for five different teams in three leagues from 1886 to 1898. January 9 - George Crosby, 55, pitcher for the 1884 Chicago White Stockings of the National League. January 14 - Hal O'Hagan, 43, first baseman for the 1892 Chicago Orphans and for the New York Giants, Cleveland Bronchos and Washington Senators in the 1902 season. January 15 - Icicle Reeder, 55, outfielder who played in 1884 with the AA Cincinnati Red Stockings and the UA Washington Nationals. January 16 - Tom Dolan, 58, catcher who hit .242 for five teams in three leagues between 1879 and 1888. February 9 - Joe Stewart, 33, pitcher for the Boston Beaneaters of the National League. February 26 - Mike Drissel, 48, catcher in six games for the St. Louis Browns 1885 American Association champions. March 3 - Jack Fee, 45, pitcher for the 1889 Indianapolis Hoosiers of the National League. March 28 - Clare Patterson, 25, left fielder for the 1909 Cincinnati Reds of the National League. April 16 - Jerry Harrington, 45, National League catcher who hit .227 in 189 games with the Cincinnati Reds (1890-'92) and Louisville Colonels (1893). April 18 - Roscoe Miller, 36, pitcher for the Detroit Tigers (1901-'02), New York Giants (1902-'03) and Pittsburgh Pirates (1904), who became the first 20-game winner in Tigers history. April 23 - Charlie Pabor, 66, player-manager for four teams of the National Association from 1871 through 1875. May 1 - Charlie Reynolds, 55, pitcher for the 1882 Philadelphia Athletics of the American Association. May 13 - John O'Brien, 46, Canadian second baseman who hit .256 in 501 games for six National League teams from 1891 to 1899. May 14 - Dennis Coughlin, 69, outfielder for the 1872 Washington Nationals of the National Association; best remembered as the only major leaguer who was wounded in combat during the Civil War. May 18 - The Only Nolan, 55, pitcher who posted a 23-52 record and a 2.98 ERA in 79 games with four teams between 1878 and 1875. May 18 - Charlie Robinson, 56, American Association catcher who played for the Indianapolis Hoosiers (1884) and Brooklyn Grays (1885). June 5 - Chris von der Ahe, 61, owner of the St. Louis Browns from 1882 to 1898, who greatly developed the entertainment aspect of the sport with fan-friendly promotions and ballpark attractions, and also presided over first team to win four straight pennants (1885–1888). June 13 - Eddie Quick, 31, pitcher for the 1903 New York Highlanders of the American League. June 30 - George Tidden, 56, sports editor in New York since 1895. July 13 - Dan Sweeney, 45, outfielder for the 1895 Louisville Colonels of the National League. July 17 - Pat Scanlon, Canadian outfielder who played in 1884 with the Boston Reds of the Union Association. July 19 - Jiggs Donahue, 34, a standout at first base in the early years of the American League, and a key member of the 1906 White Sox that won their cross-town rival Cubs in the only all-Chicago World Series ever played. July 28 - John Greenig, 65, pitcher for the 1888 Washington Nationals of the National League. August 8 - John Gaffney, 58, the sport's first great umpire, officiating for twelve seasons in three leagues between 1884 and 1900; managed Washington team in 1886-87, and officiated in 1887-88-89 championship series, pioneering use of multiple umpires in games. August 14 - Chummy Gray, 40, pitcher who posted a 3-3 record and a 3.44 ERA for the Pittsburgh Pirates in 1899. August 25 - Red Donahue, 40, pitcher who won 20 games three times with the Phillies and Browns and led the National League in complete games (1897), while collecting 164 career wins and a no-hitter (1898). September 3 - Charlie Householder, 59, first baseman/catcher who played in two Major League seasons, 1882 and 1884. September 24 - Fred Roat, 45, National League third baseman for the Pittsburg Alleghenys (1890) and Chicago Colts (1892). October 8 - Elmer Cleveland, 51, third baseman who hit .255 in 80 games with four clubs in three different leagues between 1884 and 1891. October 13 - Mike Heydon, 39, catcher who played from 1898 through 1907 for the Senators, Cardinals, WhiteSox and Orioles. October 24 - Dan Shannon, 48, player and manager during his three-year career with the Colonels/Giants/Statesmen/Athletics from 1889 to 1891. November 15 - Monte McFarland, 41, pitcher who played for the National League Chicago Colts in 1895 and 1896. December 24 - Chief Sockalexis, 42, right fielder for the 1897-99 Cleveland Spiders, who was the first Native American to play in the major leagues. December 26 - Frank O'Connor, 46, pitcher for the 1893 Philadelphia Phillies. December 30 - Joe Neale, 47, American Association pitcher for the St. Louis Browns (1886-'87) and Louisville Colonels (1890-'91).